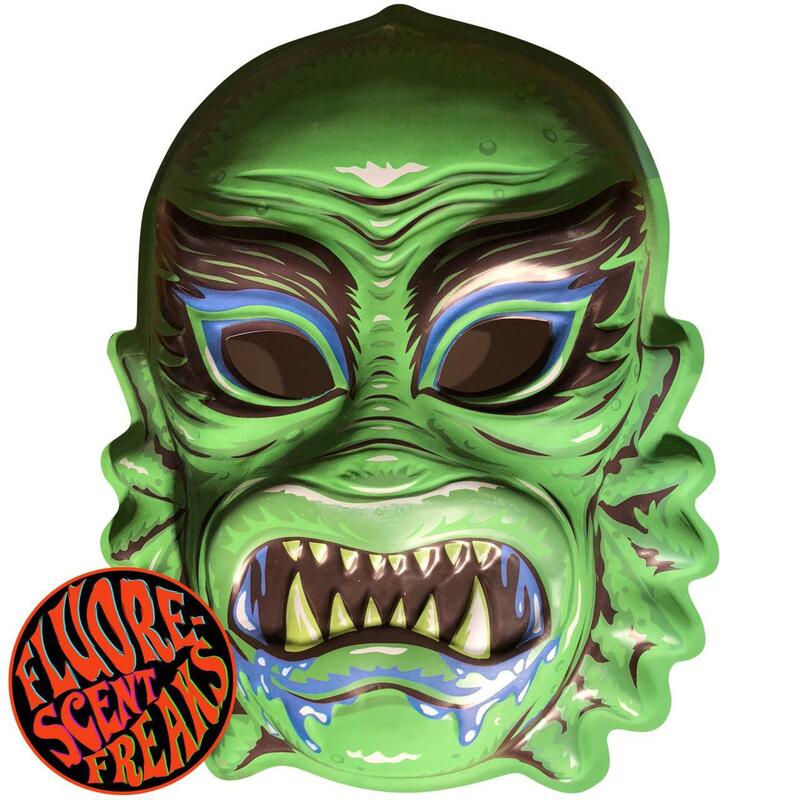 Home / News / New Fluorescent Wall Decor Masks for 2018! New for 2018! 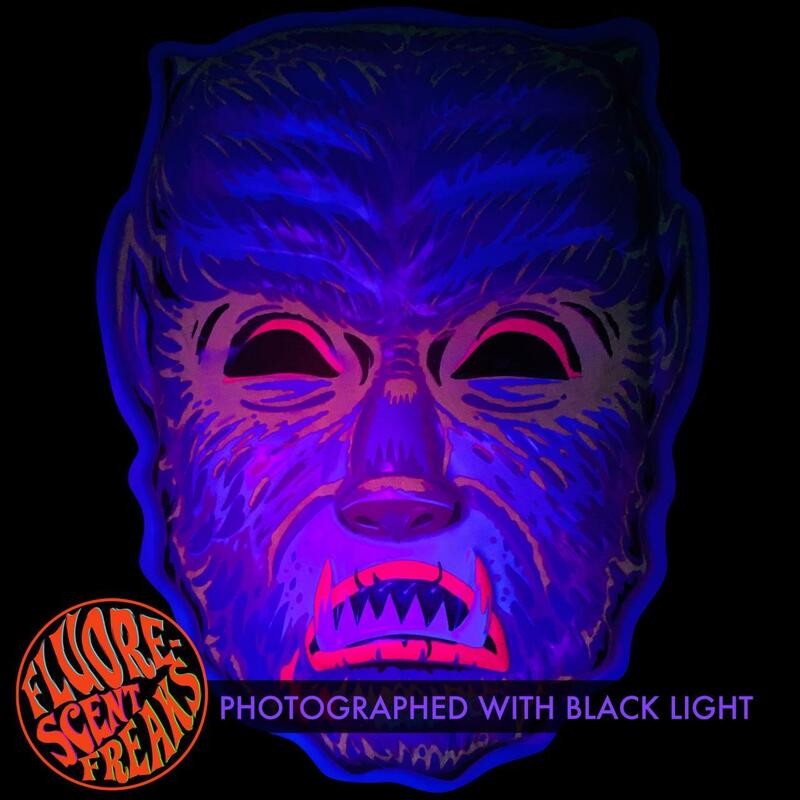 Fluorescent Freaks Series – Retro-a-go-go Wall Decor Masks! 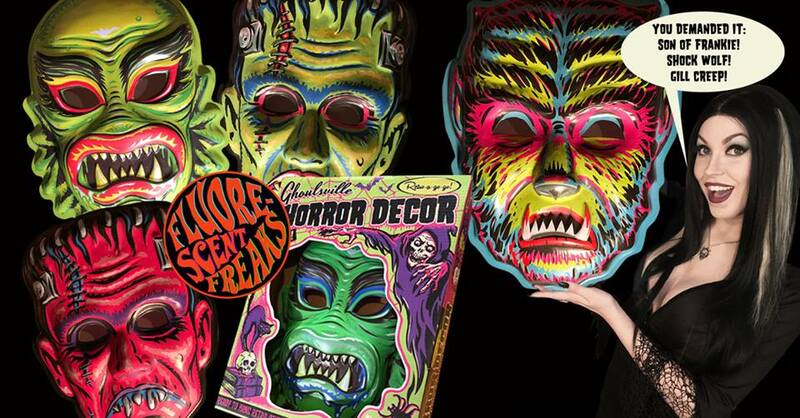 We love the whole line of Ghoulsville Horror Wall Decor masks from Retro-a-go-go! and we’re excited to announce their latest line for 2018 – Fluorescent Freaks! They resurrected several of their most popular designs in shocking new color schemes and now each reacts to blacklight for a stunning, creeptastic glow! The 2018 series is now available for pre-order on our MORE DECOR themed furniture and art shop page so check them out and order yours today! Capture the glow of the moonlight with this new Wolf Man mask decor! The new 2018 Fluorescent Freaks come in the same giant-sized collector’s edition boxes as the whole series. The boxes are an homage to the original classic packaging of yesteryear, right down to the clear plastic window showing your ghoul within! Son of Frankie awaits a charge back to life in his collector box! The oversized vacuform pieces capture the style and feel of those old masks, with groovy paint jobs and classic monster styling. 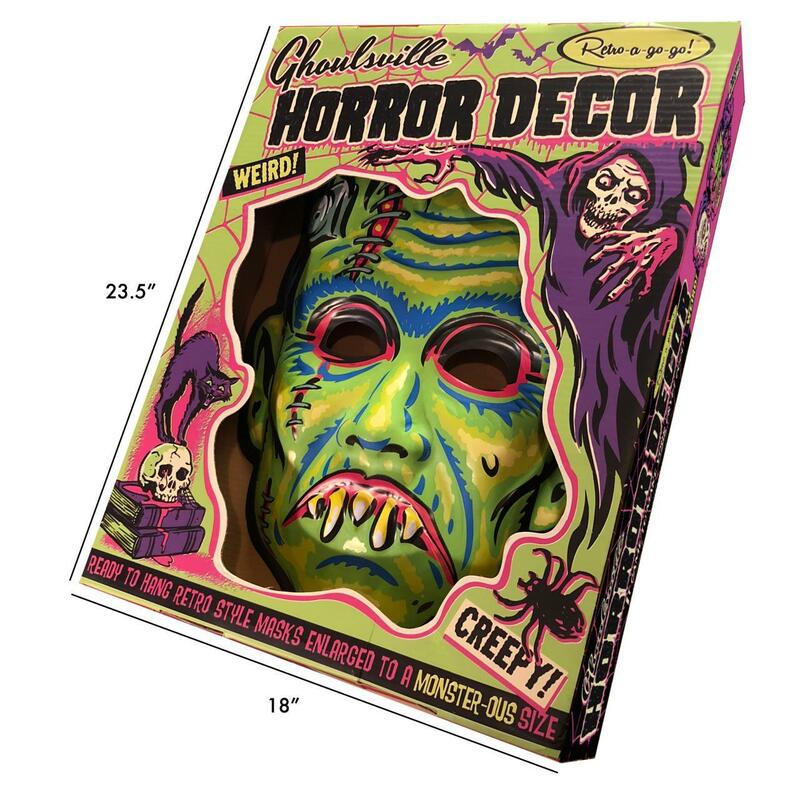 Whether you add them to the walls of your home, office, retail location, monster man cave or fan cave… or keep them “mint in box” and proudly displayed, nothing else that can match the creep-tastic awesomeness of Vac-Tastic Plastic wall hanging masks! Order yours today! The new Gill Creep brings back one of the most popular designs in a stunning new color scheme! So visit our MORE DECOR themed furniture and art shop page to see the whole line of retro wall decor and pre-order your Fluorescent Freak! They’re larger than life and ready to hang on the walls of your home, office, shop, man cave or fan cave! They’re amazing Halloween decorations, and the perfect bit of classic kitsch for monster kids who happen to like a bit of monstrous decor all year round!